The lovely people of Nubia are the ethnolinguistic group, who were the earliest cradle of civilization and they came from southern Egypt and northern Sudan. They live mainly today in Luxor & Aswan in the region between Wadi Halfa city on the Egyptian-Sudanese border and al Dabbah. The history of Nubia starts from the Paleolithic era 3,000 years ago and during their early life, they were famous for their horse riding skills and their impressive marksmanship with bows and arrows. The Nubians used the writing system late and they learned how to use hieroglyphics. The Early Nubians were speakers of languages belonging to the Berber and Cushitic branches of the Afro-Asiatic during the C-Group and Kerma cultures. The old Nubian language dated back to the eighth century, which is the oldest African language. 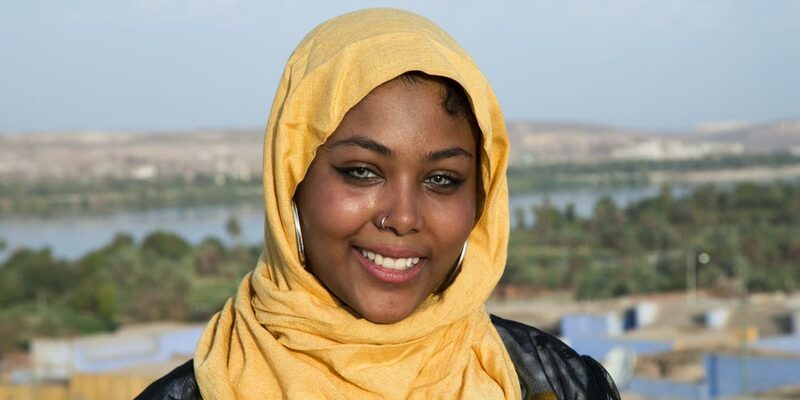 Modern Nubians speak Nubian languages and Eastern Sudanese languages. There are four regions in Nubia, which give material importance for the city. The first and most important region is the Nile River and its Valleys, the second is the Western Sudan, the third is Eastern Sudan, and finally, the fertile pastoral region of the south. In the beginning, the geography of Nubia has affected its cultural development. It was divided into Upper Nubia that was the ancient location of the kingdom of Napata. Lower Nubia that was the location, where the kingdom of Meroe flourished. Kenuz, Fadicha (Matoki), Sukkot, Mahas, and Danagla were the dialects of the ancient Sudanese. Ancient Nubians practiced a mixture of traditional and Egyptian religions including Ancient Nepata. Gebel Barkel was the main location of the ancient God, Amun, and many Nubian Kings & Queens were buried in this area. This amazing island is part of the beautiful city Aswan and is considered an important tourist attraction is located just downstream of the First Cataract. There were two temples of great pharaohs Thutmose III and Amenhotep III but unfortunately, they were destroyed by Mohamed Ali in his attempt to conquer Sudan. At the southern end of this island, there is the Nubian Museum that has many findings, including a mummified ram of Khnum. 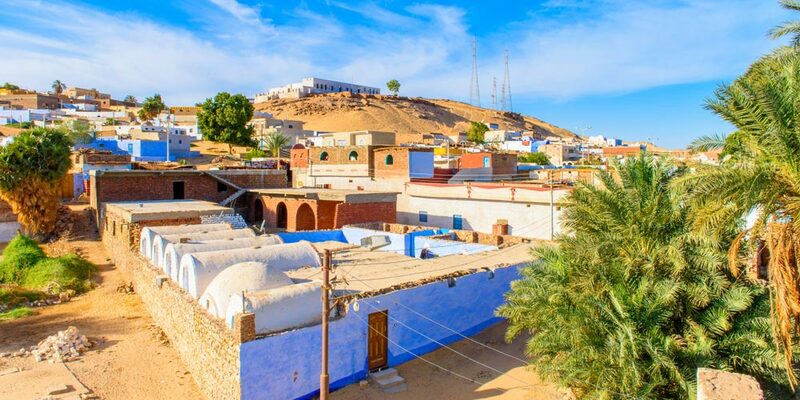 The Nubian Village is inhabited by indigenous Nubian people, who are known for their customs, traditions, beliefs, architecture, history, and even the way of their life and places where they live that is mixed with lovely colorful places and unconventional clothes. Leave your city behind and head to a magical world full of smiles from children and adults in calm places that face directly the sunrays with a Nile River view through our majestic Nile cruise holidays. Modern Nubians live in Old Nubia of Modern Egypt. After the construction of the High Dam, a lot of the Nubians settled in large groups away from southern Egypt since the 1960s. A common identity has appeared on the Nubians, which has been celebrated in poetry, novels, music, and storytelling. Most of the Nubians today practice Islam as the main religion. Their architecture is so distinctive and the Nubians represent their homeland as a village surrounded by a big hall. There is colored stucco, which is decorated with symbols related to the family inside. In the Nubian village, there are some places that display crocodiles. The village also contains Siou & Koti villages that are famous for palm groves. There you will get an amazing experience of the modern life of the Elephantine. 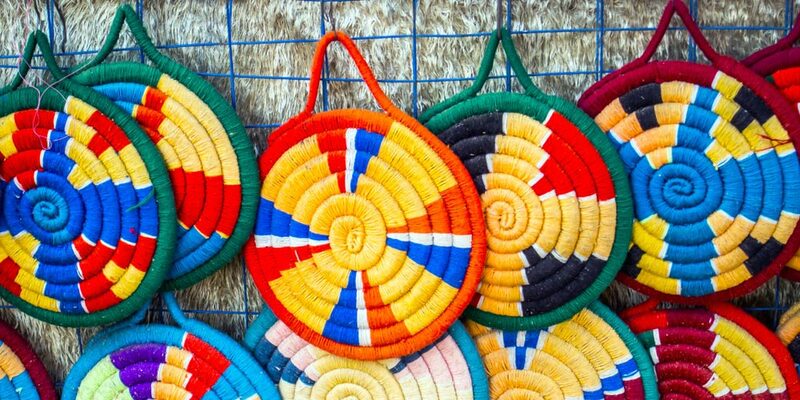 The Nubian people are so kind and you’ll spend a fantasy time drinking tea with them and buying their handicrafts. You’ll also find their people who do henna on the body that is going to be an unconventional experience for you. 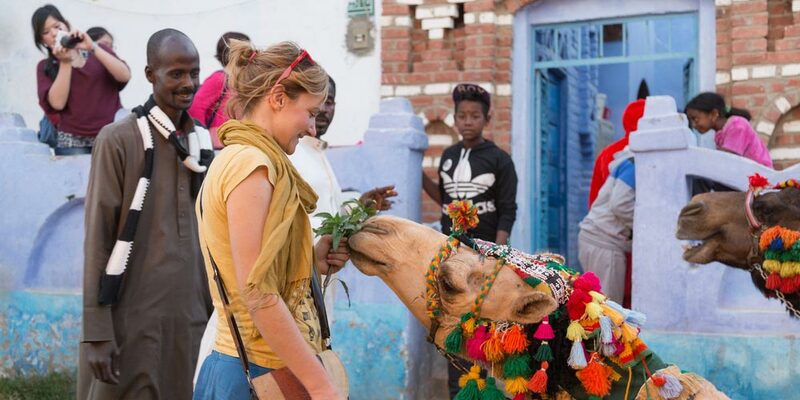 They transport tourists on camels to different sites. So while being there, don’t forget to take some pictures with crocodiles. 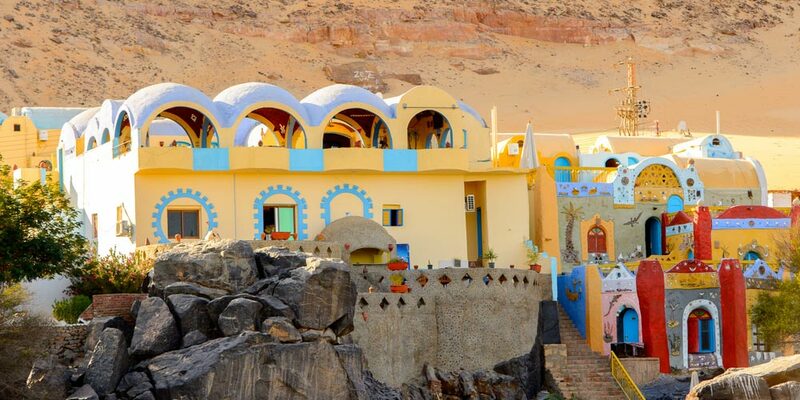 Tourists seek to visit the Nubian village to see the magnificent colored houses that are decorated handmade. You will find also inside this mesmerizing village, some amazing places to buy souvenirs, excellent cafés & restaurant to spend an unforgettable time. To reach this marvelous destination, you can try our Egypt tour packages to explore the gorgeous Nubian sites and witness the glamour of Egypt civilization.